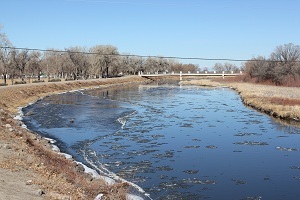 Alamosa, Colorado is a great place to explore! 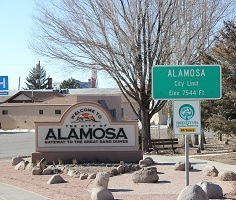 Alamosa, which is Spanish for cottonwood grove, was established in 1878, just two years after the state of Colorado became a state. When gold and silver were found in the San Luis Valley it became a major hub and is still the largest town today with approximately 8,000 residents living in the town. 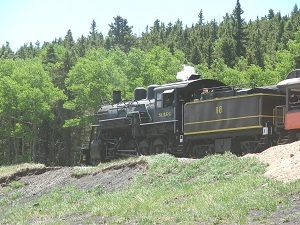 It hosts many unique attractions such as the Rio Grande Railroad which is a train that leaves Alamosa in three directions. One trip travels over the very scenic La Veta Pass. This trip includes a concert with performers including Michael Martin Murphy. 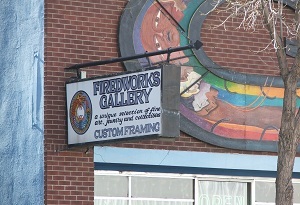 There are several unique stores which include Treasure Alley and the Fired Works Gallery. There is a wonderful quilt and fabric store, Heartstrings and Heirlooms (formerly the Gray Goose Fabrics), on Main Street which hosts a variety of classes and is well known for their beautiful fabric. Visiting the Rainbows End is always a fun experience. The Rainbows End is a thrift store which takes donations, sells them, and uses the money to support La Puente which is a homeless shelter. Alamosa dining ranges from the very elegant to a variety of fast food restaurants. One of my favorite places to dine is Trujillo’s. This is a very elegant restaurant with a large variety on their menu from steaks, seafood, and Mexican food. My favorite meal there is their Sunday brunch which includes Belgium waffles, omelets made with fresh ingredients as you wait for it to cook, and all the fixings of a full breakfast or prime rib, salad bar, rolls, and a dessert bar. The Alamosa Restaurant Walk is held every July and is a fundraiser for the local Food Banks. Your donation allows you to sample food from various downtown restaurants. 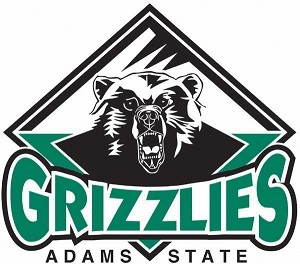 Alamosa is home to the Adams State Grizzlies. This is a college known for its academics in education as it has always graduated many elementary and secondary teachers. It is very well known for its men and women’s cross country teams who train at an elevation of 7,500 feet above sea level. 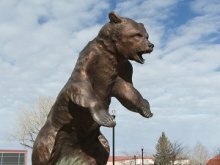 Trinidad State Junior College is also found here and has programs in nursing, aquatics, mechanics, and other areas of education. Alamosa is home to the Great Sand Dunes National Park which hosts the largest sand dunes in North America! There are also several annual activities to enjoy, including the Summerfest on the Rio held in Cole Park. This has many booths selling wares and local foods such as lamb and the well-known Gosar sausage and lots of entertainment. In January, there is the Annual Ice Sculpting Fest which allows close viewing of the ice carvings as well as free food and drink samples from the surrounding businesses. Sundays at Six begin in June. This is a casual, bring your lawn chair, and enjoy as musical artists entertain. Also in June is the Roundup Rodeo which hosts a PRCA rodeo. 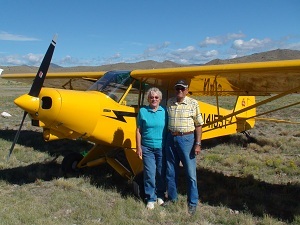 July brings the SLV Pilots Association Fly In and Air Show. 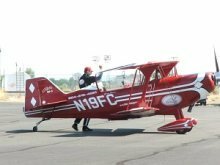 Enjoy a wonderful pancake breakfast to start the morning and then watch the acrobatic airplane performances. There are also many airplanes including local planes as well as military fighter jets for you to view. If you love to quilt or just want to see beautiful quilts do not miss the Annual Quilt Show. This free event showcases quilters from across the San Luis Valley. 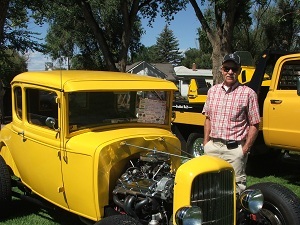 During the Labor Day weekend Cole Park becomes the site to more than 500 antique cars during the Early Iron Festival. There is so much to see and do that you should plan to spend several days. Lodging is plentiful including the Valley’s only indoor water park at the Inn of the Rio Grande. There is also the Holiday Inn Express on the west side of town next to Wal-Mart and the Ski-High 6 movie theater, the town's only movie theater. Stay and enjoy the many sites, foods, galleries, and entertainment!